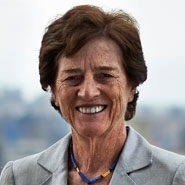 Elizabeth Holtzman appeared on NY1’s Inside City Hall, where she discussed the New York State budget negotiations. With the pending deadline for budget negotiations, the three elected officials suggested that it shouldn’t just be the leadership making decisions. Regarding the potential legislation on sexual harassment, Holtzman said that women should have a say in the discussions around sexual harassment policies and abuse cases.